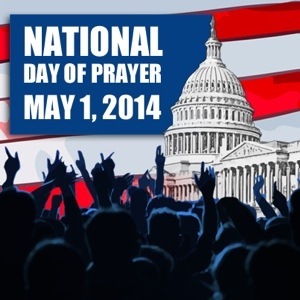 National Day of Prayer 2014 | my morning b.r.e.w. We are so privileged to have the opportunity to come before you today and intercede for others and plead for ourselves. Forgive us for being self focused and thinking that we can help ourselves, when all along we need You, your grace and power in our lives to overcome. Watch over our nation. Guide our government officials as they make decisions…May Your will be done on earth as it is in heaven. Give them wisdom, clarity and an others focused mentality. Guard our communities and the families that make them up. Protect the ones that can’t protect themselves, especially the little ones. Provide for the homeless, heal the sick, diminish the violence and empower us to love one another. Watch over our first responders and keep them safe. Put a hedge of protection around each pastor and their families. May the ministers in the spiritual front lines be true to You always. May we be totally surrendered to Your will and way in our lives so we can guide others to do the same. As our military provides and guards the liberty we enjoy in this land of the free, may they feel Your presence and constant watch. May peace prevail, first in their own hearts and then in the places where they serve. May they come home safe. Guide our corporate leaders in America to cherish integrity and character. May they be servants that follow Your example. Thank you for the ones You have raised up to be Your voice in this vast mission field that is corporate America. Lastly, but in first place, change us to be more like Your Son. Allow us the privilege to embrace and emulate His character. May we be people that love You and others as our top priorities. Fills us with You and let our joy be complete.